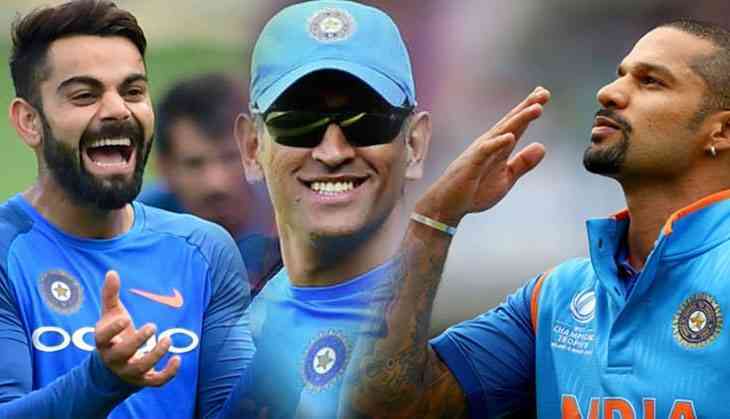 Home » cricket news » Shikhar Dhawan gives a new name to Virat Kohli And MS Dhoni and you will love it! Virat Kohli's juggernaut departed to England with flying colours for rivalary tour against Ireland and England starting on Friday. The 'Gabbar' of Indian cricket team Shikhar Dhawan posted the video on instagram where is singing the song like – Mere Do Anmol Ratan, Ek Hai Ram To Ek Lakhan. Indian skipper Virat Kohli cited that "This is a team game. It doesn't matter how I perform or how one player stands out in the whole tour. We, as a team, have to play well. In the upcoming tour of England, our focus will be on how we can perform well as a team"
After the statement of former Indian coach Anil Kumble " We have world best spinners", Indian skipper Virat Kolhi said that swing is problem for every team not just for Indians ahead of England and Ireland tour. Indian skipper Virat Kohli cited that "I am 100% fine now & absolutely ready to go. My neck is fine now. I've had good practice & played 6-7 sessions in Mumbai. Breaks like these make you fresh mentally. It has made me excited to go back on to the pitch again: Virat Kohli". Virat Kohli further said that "Swing is a problem for every team, not just for Indians, If the team has momentum then you can do anything: Virat Kohli, ahead of Ireland-England tour".